The finalising of a new constitution has become the most contentious question in Egypt, yet a much needed step for the country to move past the current transitional phase. Alessandra Bajec reports for Ceasefire. Renewed disputes over controversial articles in the constitution have cast a shadow on the completion of Egypt’s new charter, leaving little guarantee that the document will be ready by 20 November. As the draft constitution enters its final stage, debate is still taking place between Islamist forces, seculars and liberals, highlighting once again the divided working process and composition of the 100-member Constituent Assembly. Notwithstanding the very disputed matter at stake, the constitution remains key to Egypt’s democratic transition and necessary to elect a new Parliament, after a court decision dissolved the previous one earlier in July. After the first drafts have been circulated to the public in recent weeks, the Constituent Assembly is working to complete the final version by 20 November, and put it to popular referendum for ratification in December, according to the assembly’s general secretariat. Despite assembly members previously set deadlines for a final draft, they have kept on procrastinating voting on articles in the charter amid fierce disagreements until now. But why is the new constitution not ready yet? The most divisive issues the Assembly still cannot seem to fully agree are the role of Islam in politics, civic freedoms and women’s rights, with the main source of controversy lying in the religious content of the constitutional draft. Liberals and ultraconservative Salafi groups have largely clashed over defining what role Sharia law should play in Egypt’s constitution. Article 2 which states that ‘the principles of the Islamic Sharia are the main source of legislation’ remains unmodified from the 1971 constitution. A new restrictive clause, Article 221, specifies that those principles are to be deduced from its fundamental rules and its Sunni sources. With Salafi groups demanding that ‘provisions’ should replace ‘principles’, and liberals worried about the use of explicit language to implement Sharia, a compromise was reached last 4th November when the two articles were approved, one source from the Assembly says. Mohamed Zaree, who is Project Manager of the Cairo Institute for Human Rights Studies (CIHRS), warns that the new interpretation of Sharia, based on specific Islamic beliefs, has serious implications in that everything would be interpreted within the framework of Islamic law. ‘This is not just about Article 2, it’s the philosophy applying to every article in the coming constitution’, he says stressing that Sharia does not guarantee equality for all Egyptians in the charter. The draft also introduces a responsibility for Egypt’s top religious scholars at Al-Azhar University to consult on the translation of Sharia into law. Zaree is concerned that Al-Azhar may become the exclusive institution with the power to interpret Sharia, as Islamist groups are shaping the constitution towards the ruling of an Islamic state. As a rightist, he believes a strictly religious entity would pose a threat to human rights in the new constitution. Many Egyptians fear that the constitution will be the basis for the establishing of a religious state. Human-rights advocate Dalia Ziada is afraid that the new constitution will entitle those who want to use religion to dictate their social rules. “This opens the door for any sheikh, or anyone else, who thinks he’s more religious than you to tell you how to behave. Because he thinks that you should not contradict sharia. And the constitution is on his side.”, she says in an article on The Daily Beast. In this context, it is hard to anticipate what concrete changes regarding women’s rights will be put forth in the final draft. Article 68 was designed to stipulate that the state should ensure equality between men and women ‘without violating the provisions of Islamic Sharia’. Liberal and secularist figures objected to gender equality being made conditional on Sharia, arguing that the Islamic reference could restrict or remove civil and political rights that women have gained. Salafi forces believed that openly granting the right of gender equality without restrictions would endanger the provisions of Sharia. Assembly members agreed last 6th November to cancel the contentious clause. Fatma Emam, researcher at Nazra for Feminist Studies, deems the removal of the whole article worrying. Although one general clause preventing discrimination is present in the current draft, under Article 30, there is not a specific disposition yet that protects gender equality. ‘Granting the very basic principle of equality for women sends a strong signal to society that this constitution really protects them’, activist Marwa Sharaf al-Din tells Egypt Independent. Another issue that has created discussion in the drafting committee revolves around the power of presidency. The new charter sets limits on some of the powers abused by former President Mubarak like one provision restricting the presidency to two four-year terms. In addition, future prime ministers would need to win a vote of confidence in parliament, implying that the head of state must select someone acceptable to the parliamentary majority. In the new text, the parliament regains some control action of executive power. Based on a new measure, the president is required to obtain approval from the majority in parliament before declaring the state of emergency. The same procedure would apply for the declaration of war. In his article on weekly Al-Ahram, Allaa Al-Korachi notes that while the new draft transfers some of the president’s prerogatives to the prime minister, it poorly defines the limits between their spheres of power. Based on the latest draft, nevertheless, the president would still retain broad powers ranging from dissolution of the Parliament to powers of appointment, including the ability to appoint the prime minister, senior military and diplomats, judges of the constitutional court. While remaining the supreme head of armed forces, and head of the National Defence Council, the president has no obligation of transparency from the army, nor civil control over its budget. Human rights groups point out that information on the military budget is publicly available in the majority of democracies. Despite Egypt is moving in the direction of a semi-presidential regime, the president currently cumulates both legislative and executive powers. The Muslim Brotherhood has come under attack for allegedly pushing through clauses to give the president more power than what the Egyptian people expected. Another contentious part of the charter is the section on freedoms, due to the vagueness or limits over the essence of numerous rights. According to Al-Ahram, the draft maintains some civil, political, social and economic rights, however some of its provisions conflict with international human rights standards. Freedom advocates are concerned that some clauses may be subject to manipulation, or give legitimacy for the formulation of repressive laws. 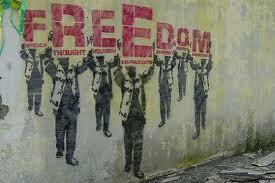 According to Art 8, for example, freedom of religion is protected ‘within the law’. It is nowhere spelled out that the state guarantees freedom of religion. Far from acknowledging the existence of all religions, the draft constitution merely protects Sunni Islam and recognizes Abrahamic religions only (Christianity, Judaism and Islam). This will effectively cut off groups such as Baha’i minority -which has existed in Egypt for more than a century- and even other Islamic traditions namely Shi’a, and give place to discrimination. Other concerns include press freedom, freedom of expression and of association. There has been a big talk over an article in the draft that gives discretion to put journalists in jail, based on the content of their work. One big shortfall of the constitutional draft is that it does not embody the spirit or the popular consensus of January 25th revolution that Egyptians fought for freedom, democracy, social justice and dignity. It rather reflects the values of some Egyptians now sitting within the Constituent Assembly, many of whom did not take part in the revolution. Within the Constituent Assembly, more liberal politicians and moderate Muslims have expressed disapproval on what they see efforts by conservative Salafists and Islamist figures to monopolize the drafting process. Dr. Hassan Nafaa, professor of political science at Cairo University, sustains that such lack of representation is very clear since the formation of the first Constituent Assembly, when Islamist political groups formed the majority among the assembly members after they won the parliamentary elections -with Muslim Brotherhood’s party Freedom and Justice (FJP) leading, followed by Al-Nour the Salafist party. ‘From the very outset, I was one of those who demanded drafting of the constitution before holding parliamentary elections’, Nafaa recalls. Instead, the elections went ahead first, and the Islamists took control over the constitutional committee. According to the March 2011 Constitutional Declaration, parliament members were not allowed to elect themselves for the Constituent Assembly. The first Assembly, which included members of parliament, was thus dissolved following a court ruling in April 2012. The current Assembly again counts MPs among its members, has a 60% Islamist makeup, the bulk of them are affiliated with the Muslim Brotherhood. The Assembly has been criticized for its lack of balance and failure to represent the full spectrum of Egyptian society, with liberal and leftist members fearing the dominance of political Islam over the constitutional committee. Human rights advocate Zaree denounces lack of transparency within each constitutional committee. There is a website that only provides information about discussions resulting from general meetings, however it does not release work progress from individuals sessions nor it publishes amendments in the draft. ‘We ignore what members of the Assembly discuss, we don’t know what is happening behind closed doors’, CIHRS’s Project Manager hints. In Al-Ahram, Mohamed Salmawy, President of the Union of Arab and Egyptian Writers, argues for full transparency encouraging, ideally, a ‘quasi daily contact’ with the general public. He observes that citizens should be kept informed throughout the whole drafting stage, saying it is unconceivable that the constitution is only made publicly available on the day of the referendum. Once the final draft is completed next month, it will be open for debate for two weeks. ‘It is illogical to hold a public debate for only two weeks. It looks like they are rushing to put the constitution to vote for people to agree upon, without allowing sufficient time for discussion’, Zaree attacks. Liberal-minded Egyptians are concerned that Islamic parties push for a more conservative Egypt, fearing the imposition of social restrictions, whilst Islamists don’t seem prepared to make concessions on the Islamic character of the new charter, with deep mistrust entrenched on both sides. The Muslim Brotherhood want to appear like protectors of Islam, but also claim they have been working to bridge the Salafist-liberal divide. With divisions between the two opposite ends of the constitutional committee, and political consensus far from being reached any time soon, it is not unrealistic to expect the secular-religious divide to widen. Pressure is mounting on the Assembly as its members aim to hold final discussions in these days, and vote on the articles by mid-November –before the constitution is ready to submit to referendum for national approval. The FJP and President Morsi have met with party leaders from both Islamists and liberals, in an effort to broker a consensus between political factions. The head of state is undoubtedly pressed to make sure the draft is finally completed on time. Political scientist Nafaa insists that completion of the constitution –along with holding of parliamentary elections- is the real big challenge for the president. 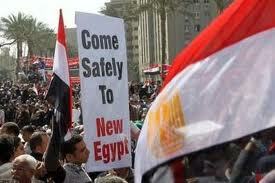 And the new charter needs to be satisfactory for all Egyptians. ‘The new Egypt will start after the Constitution and the parliamentary elections, not before’, Dr. Nafaa argues. 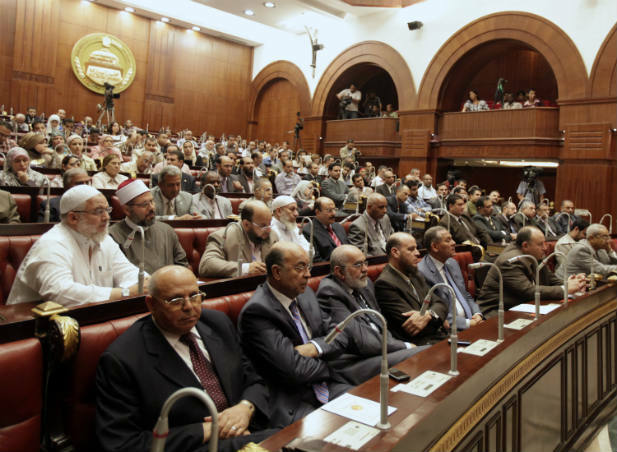 If the Constituent Assembly fails to meet its deadline, and does not finalize the constitution, President Morsi would have the responsibility to dissolve the Assembly, and form a new one which will have to start from scratch. Meanwhile, Islamists push their voice through the charter while liberal and secular groups do not welcome many of the clauses enshrined in the draft. With much uncertainty as to where the debate will be heading next. Alessandra Bajec holds a Master’s degree in Conflict Resolution and a Bachelor’s degree in Political Science. From 2010 to 2011, she lived in Palestine, starting to work as a freelance journalist. Her articles have appeared in the European Journalism Centre’s magazine, The Majalla and various Palestinian newswires, among others. Her key areas of interest are the Middle East, geopolitics, peace and human rights. She is currently based in Cairo.